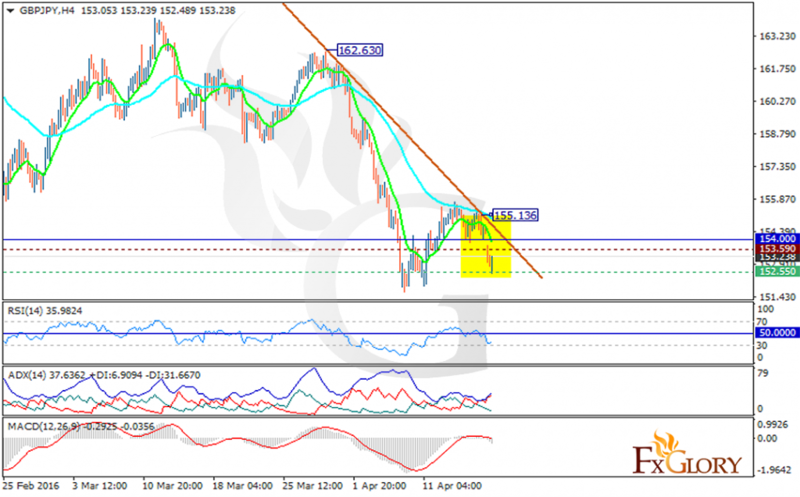 GBPJPY managed to hit 155.136 level before the beginning for the new week but as the market opened on Monday it flung down and is expected to move in lower ranges. The pair is finding support at 152.550 with resistance at 153.590 which both are below the weekly pivot point at 154.000. The MACD indicator is in neutral zone showing the price correction. The RSI is below the 50 level and with the ADX both are signaling sell opportunity. The EMA of 10 is below the EMA of 50 which shows the pair has been weakening recently. Short positions are recommended with the target at 152.